This is the first interview that takes place after you have claimed asylum. If you have claimed asylum at the port where you entered the UK, you will usually be interviewed there by an immigration officer. If you claim asylum some time after entering the UK, you will usually be interviewed at the Screening Unit in Croydon, south London. If you claim asylum at the port of entry when you enter the UK (by telling a – usually uniformed – member of the UK Border Force that you wish to claim asylum or words that convey this meaning), or if you are picked up by an immigration enforcement team at some other time, you will either have your screening interview that day or within five days. If you are claiming asylum other than at the port of entry or after being picked up by an enforcement team, you need to telephone to make an appointment at the Screening Unit at Lunar House in Croydon. For contact details and opening times, check this page of the Home Office website. This is the same for adults and unaccompanied children. In the case of unaccompanied children, however, they should have their “welfare interview” (the equivalent of the screening interview) locally rather than having to travel to Croydon if that is not the nearest Home Office branch. Other vulnerable people – for example, people with medical issues or disabilities – may also be able to have their screening interview nearer to where they are living (particularly if they are in Scotland), but this is up to the Home Office decide. The exception to this process for claiming asylum is if you arrive to the UK in Northern Ireland. In this situation, you will register your asylum claim at Bryson House in Belfast. If you are detained when you claim asylum, your screening interview will probably be conducted in the detention centre. Many people who are detained when they claim asylum are released after the screening interview. Others may continue to be detained, if their case is put into the “detained asylum casework” category. Read more here. If you have nowhere to live, you do not need to telephone and book an appointment before going to the Screening Unit. The staff there may tell you otherwise, so you need to be prepared to argue for your right to be seen as a “walk-in”. It may help to take a friend/supporter with you to help you with this. When you telephone the Screening Unit to make an appointment, you may find it difficult to get through. When you do get through, you will usually have a very short phone call in which you will be asked your full name; your date of birth; your address and phone number; if you currently have any immigration status in the UK; and if any family members will be included on your asylum claim. You will also be asked if you need an interpreter for the interview. The Home Office will then call you back, usually within a week, and let you know the date and time of your screening interview. This should be within about a week or two weeks of when you first called them, though there are sometimes long delays. The Home Office will then send you a letter confirming the details of the screening interview. Most people do not have chance to meet with a lawyer before their screening interview. If you have your screening interview at your port of entry, you almost certainly will not have spoken to a lawyer first. If you are having your interview at Croydon, it is good to try and speak to a lawyer before the interview although not all lawyers do this. If the Home Office ask you to bring evidence about your asylum claim with you to the interview, try and speak to a lawyer about this, as it is more usual to wait until the substantive interview or just after it, when the lawyer will have a better idea about the basis of your asylum claim. If there are family members who will be part of your asylum claim, they need to attend the screening interview with you. There is a family room at the Screening Unit at Croydon where children can play, and you may want to think about bringing a friend to look after the children while you have your interview. Your lawyer will not attend the screening interview with you. 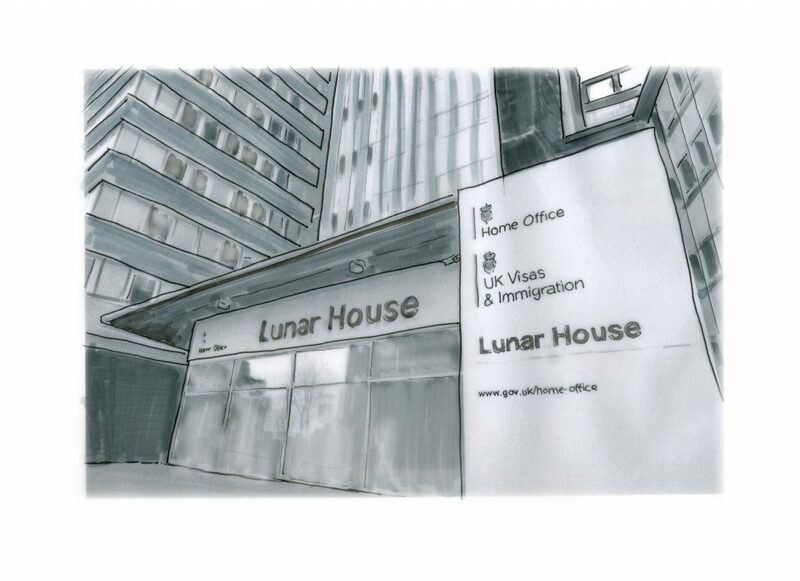 If your screening interview is held at Lunar House (the Home Office in Croydon), you will go through airport-like security then sit and wait until you are called for your interview. The area where the interview takes place does not feel very private, with just screens separating different interview areas, but you must try not to let this stop you giving the Home Office important information. The interview is relatively short, compared to the longer substantive interview, and may take one or two hours. You will also have your photograph and fingerprints taken at this point. The Home Office may then go and check if your fingerprints have been taken in other countries (read more about this in the Dublin Regulations section). The screening interview cannot be audio-recorded, unlike the longer substantive asylum interview. The Home Office interviewer will take notes on a screening interview form during the interview. It is very important that you get a copy of this screening interview record. There will be an interpreter provided if you need one. If there are any problems with the interpreter – you cannot understand them, they cannot understand you, they speak a different dialect, you don’t think they are being professional or you can tell they aren’t interpreting things correctly – it is very important to tell the Home Office interviewer this and ask them to write it down. You can also tell your lawyer at a later date if there have been problems, but it is far better to have it recorded at the time of interview. If there is a discrepancy in your testimony that is used to refuse your application, and this is because of poor interpretation at the screening interview, it will be much easier to prove if the Home Office interviewer noted that there were problems with the interpretation. You may be asked to provide evidence to prove your name, date of birth and/or your nationality. You will be asked why you have come to the UK. Note that this is a different question (and in a different section) to why you cannot return to your home country. Your answer to why you cannot return to your home country is about your risk if returned (read more here); the question about why you came to the UK is why you chose the UK as your destination. Be clear in you answers whether you are explaining why you had to leave, or why you came specifically to the UK. Be aware that the Home Office will often try to use these answers to say you came to the UK for reasons other than because you need protection. You will be asked to say briefly why you are claiming asylum. You will be asked about this in much more detail in your (later) substantive interview and the Home Office should not be asking you lots of questions about this at this point. There is case law that establishes that information given in the screening interview about reasons for claiming asylum should not be overly relied upon. This is the information, however, on which the Home Office will decide which category your case should go into. If they need more information to decide this, they should seek further information after the interview, before making a decision. Although these questions may seem fairly straightforward, the information you give will be used by the Home Office to compare against what you say in other interviews or statements. Read more about this here. You will be asked if you wish to have a male or female interviewer for your main substantive interview. If you do not state a preference in the screening interview but later wish to request a male or female interviewer (and interpreter), you can do this before your asylum substantive interview. Make the request far in advance, don’t wait until the day of the substantive interview. You will be asked if “there any particular reasons why you should not be detained while your claim is considered”. If the interviewer doesn’t give any more information or ask particular questions at this point, it may be hard to know what they are asking about. This question is to determine if you fall into any of the “at risk” categories which mean you should generally not be detained. This includes if you are a victim of trafficking or a survivor of torture. Read more here. You will be asked about your health in this interview. Although it is difficult to give personal details to someone you don’t know, if you don’t feel well you should say so. You may be feeling tired, distressed or ill, especially if you have your screening interview at port just after arrival. It is even harder to remember details of your journey when you are tired or stressed, and if this is causing you a problem you should ask that this is recorded on the interview record. If you later refer to a health problem that wasn’t mentioned in your screening interview, this may be used against you. Disclosing information about any illnesses you have will not negatively affect your application for asylum. You will be asked a series of questions about “criminality and security”. These include if you have committed (or been accused of) a criminal offence in any country; if you’ve been involved with an armed or violent organisation; if you have ever written anything praising or inciting violence; or if you’ve been involved in or suspected of involvement in terrorism, war crimes, crimes against humanity, genocide. One of the reasons the Home Office ask these questions is to assess whether they think you should be excluded from refugee protection. Read more about that here. The Home Office also may use information from these answers at a later time if you apply for further immigration status or settlement (indefinite leave to remain) or British citizenship. 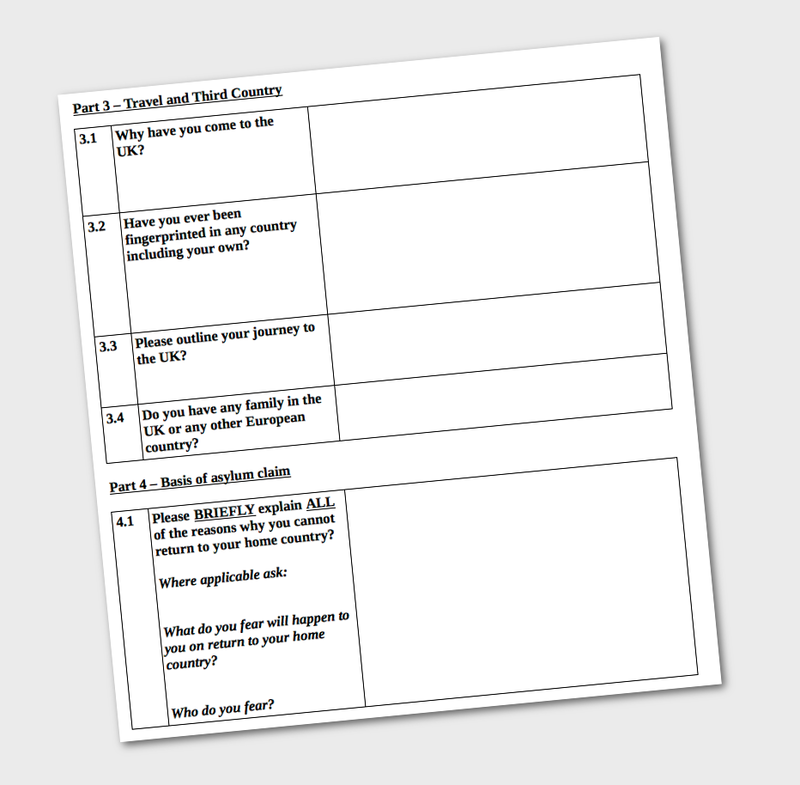 A major part of your screening interview will be about your journey to the UK. One of the reasons you are asked questions about this is to determine whether the UK is responsible for considering your asylum claim (see Dublin/Third Country Cases). There will be questions asking whether you have claimed asylum or been granted refugee status in any other country; and if you passed through other countries, why you did not apply for asylum there. Even if the Home Office do not use this information to try and pass responsibility for your asylum claim to another European country, they may use it to undermine your credibility. If there were other countries you travelled through where you could have claimed asylum and did not, the Home Office is likely to argue that this shows you are not telling the truth when you say you fear persecution. They may argue that if you are really in danger, you would have claimed asylum in the first place you could. If the information you give in this interview is different from the information you give in later interviews, this will be used against you. If you are not sure of something or can’t remember a date or detail you can say “I’m not sure of the date” or “I don’t remember”. If your asylum claim is categorised as “non-suspensive appeals”, you will have an asylum substantive interview but you will have no right to appeal within the UK if the Home Office refuse your asylum claim after the substantive interview, which they are very likely to do if your claim is in this category. If it decided you case is “detained non-suspensive appeals”, you will be detained straight after the screening interview. Read more about immigration detention, and your legal options if detained, here. The term “non-suspensive” refers to the fact the Home Office does not have to suspend your removal until you have had the chance to appeal a refusal, unlike other asylum cases. In order to do this, the Home Office “certify” your asylum claim under Section 94 of the Nationality, Immigration and Asylum Act 2002. This category is clearly problematic as the decision that you do not have the right to appeal is being made before the asylum interview, when you would give full reasons of why you fled. The decision is usually made on the grounds of country of origin, if you come from a country in which it is thought you are unlikely to need the protection of international law. These countries are listed in Section 94 of the 2002 Act, and are sometimes called the “White List”. Some countries are included as “men only” – only men claiming asylum from those countries are likely to have their asylum claims certified. You can find the list of countries here. The timing of your asylum claim may also be a factor in this decision. The Home Office may decide that an asylum application is “opportunistic” (meaning made solely to get leave to remain because you have no other options) and certify a claim on that basis. For example, if you have lived in the UK for a long time but only claim asylum when you are picked up by an immigration enforcement team, the Home Office is likely to say that asylum claim is opportunistic. A decision to certify an asylum claim (categorising it as “non-suspensive appeals”) can be challenged by a judicial review. Not everyone has the right for their asylum claim to be heard in the UK. If you are an adult and you claim asylum in the UK, and the Home Office proves that you have travelled through a safe country on your journey to the UK, they will try to “transfer” your case and say that you have to return to that safe country (the “third country”) to have your asylum claim heard. They are called “third” countries because they are not the UK and not your country of origin/residence. In practice, this is usually enforced for people who have travelled through countries that are European Economic Area (EEA) member states plus Switzerland, as removal back to those member states is allowed under a European agreement called the Dublin Regulations. There have been several versions of the Dublin Regulations, and the ones currently in use are called Dublin III (three). If your case is considered to be a Dublin case, you will not have an asylum substantive interview in the UK. Read the Toolkit section on the Dublin regulations here. If you are an unaccompanied minor and the Home Office accept this, your case will be dealt with slightly differently by the Home Office than if they say you are an adult. An unaccompanied minor is a child who is under the age of 18 years old; is applying for asylum in their own right; and is separated from both parents and is not being cared for in the UK by an adult who in law or by custom has responsibility to do so. If you are an unaccompanied minor you will in most cases still have an asylum (substantive) interview, and your lawyer will usually attend the interview with you. 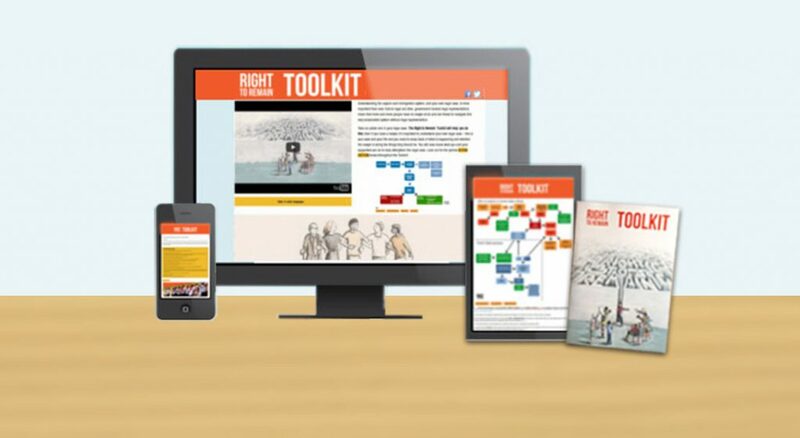 If you are an unaccompanied minor, you may find general information in this Toolkit useful. The legal process explained in this Toolkit, however, is mainly for adults and does not contain child-specific procedure. For more information on the asylum process if you are an unaccompanied minor, contact the Children’s Panel at the Refugee Council or the Migrant Children’s Project at Coram Children’s Legal Centre. The Home Office may not believe that you are under 18 years old – this is called an “age dispute”. The Home Office may undertake an age assessment, and may also ask a local authority social services to assess your age. Read more here.